Forms are an integral part of any business. Whether you recognize it or not, print products are still a huge player in many industries. From education to automotive, there are a laundry list of reasons a company would need print services. As print salespeople, it is our job to pinpoint these markets and capitalize on their business. Customer satisfaction surveys: Customer satisfaction surveys are pretty self-explanatory. Many leading hotels, such as the Hilton brand, leave printed out versions of theses customer surveys in each room for patrons to fill out before their departure. The forms usually include key demographic questions such as age range, gender and nationality. The surveys are almost always anonymous and can provide hotels with key feedback regarding customer experience. Different forms offer varied scales for participants to rate their experience. Whether it be a simple 1-10 scale to gauge customer satisfaction in areas such as service, cleanliness and overall experience, or a range of expressive faces, these surveys provide a great opportunity to showcase brand logos on a document that inherently values customer opinion. Excursion waiver forms: Many high-end resorts, especially in big tourist destinations, offer excursion bookings through their hotels. This requires a stock of excursion waiver forms. Guests must sign off on the excursion itself and waive the hotel of liability in the case of injury. These forms include basic information about the relevant parties and often detail the risks included with the excursion. Excursion waiver forms are vital for hotels offering unaffiliated activities, as they protect the business legally. Print products such as these are not usually customized but can be ordered in bulk from a print provider. Room inspection forms: Most hotels have a room inspection process that housekeeping enforces every day. These forms help streamline the process. Of course, every form varies based on the amenities the given hotel offers. The document usually resembles a spreadsheet and involves a checklist that indicates whether or not a certain room is missing any resources. Damages are also noted on this form, along with a signature from the floor supervisor. There is usually an additional space for any additional comments by the housekeeping staff regarding the status of the room. These forms are often branded and exist as bulk, repeatable orders for distributors. 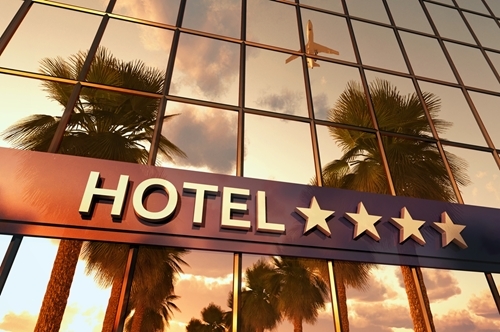 Service standard checklist: Hotels will receive audits at varying frequencies by inspectors. These checkups are intended to make sure all hotel facilities are running up to current standards. This involves a handful of forms for the relevant inspection areas. Auditors will examine fitness center facilities, such as hotel saunas, gym equipment and steam rooms. Hotels with pools or beach areas will have those facilities inspected for cleanliness and health regulations. Print distributors can also look to these forms for high-bulk and highly repeatable orders.